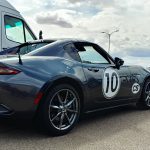 This past October, I had the chance to attend a two day autocross event. I’m embarrassed to say that it was my first time aiming my bumper at cones in about four years. That means it was my first event with a big hair drier bolted to the side of my engine. You know, the one that’s been there for over two years. 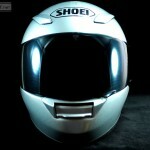 This is the 2nd helmet I’ve ever owned. I’ve suffered along with the same uncomfortable bargain rack KBC helmet for all of my racing life. It finally expired, so I treated myself to something a bit nicer. 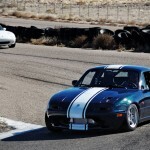 I met some buddies at the track on a warm January afternoon. We had the whole place to ourselves, so in between zooming around, there were a few pix snapped. I brought my F3 film camera. I savored every click of the shutter. 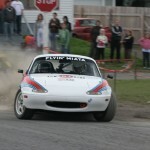 Flyin’ Miata is going back to the Targa Newfoundland rally for 2011, this time as a factory team! And they need our help. 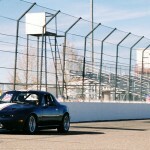 I don’t manage to get out to the track to race around very often. And it’s even less often that there are guys with cameras. So I’m pretty happy to be able to make this blog post. 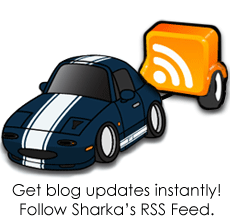 Sharka with turbo on the track. Driven by me! 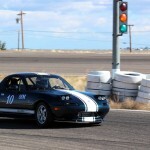 Photos courtesy of username Osiris of RacingSouthwest. 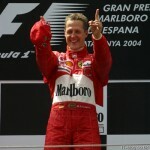 Webber’s 2nd win, Button’s 1st CHAMPIONSHIP!!! Just a little excited F1 fan gushing after the 2009 Brazilian Grand Prix. As both a Webber and JB fan, it was a big race. The AP is reporting RIGHT NOW!!! 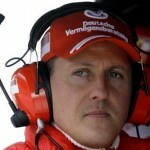 16 minutes ago, that Michael Schumacher will replace the injured Felipe Massa at Ferrari for the rest of the season following a health check. Cause, ya know, he might not be FIT to drive an F1 car. heh. The Stig was just revealed on BBC. It’s like they told me Santa Claus was real.